Chicago Fire GM Nelson Rodriguez and Head Coach Veljko Paunovic calling Brian Bliss to get his laptop password. Frankly, all of Fire Nation was hoping we’d have more things to talk about by now, but no dice. With the international transfer window now open and the MLS Superdraft combine beginning today Chicago continues to shed both salaries, personalities, and staff. The number of players remaining on the Fire’s roster sits at 14, with the organization making no additions during either stage of the Re-Entry Draft in December and choosing not to cash in on any of MLS’s first, albeit aging, free agents. Evaluating players is a messy thing. With MLS’s first Free Agency class now available for purchase and MLS’s yearly Re-Entry Round 2 Draft beginning tomorrow (Thursday, 12/17), it is worth looking at who’s available… and who’s worth being available. Maths Apology: Which 2015 Fire Players Earned Their Salaries? Chicago shed a lot of player contracts last week as new GM Nelson Rodriguez and new coach Veljko Paunovoic freed up as many dollars as possible for the upcoming MLS post season scramble. As Phase One of the Re-Entry draft begins it’s worth taking a look at how the 2015 Fire performed in context to their MLS salaries. Fire Slay Another Giant. Are There Enough Games Left? 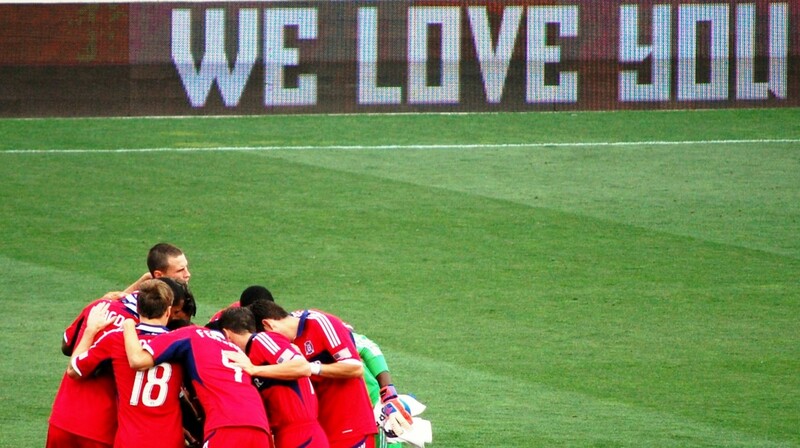 The Chicago Fire’s 2:0 blanking of FC Dallas on Sunday was truly a breath of fresh air. For once, the Fire’s backline looked like a disciplined, coordinated group, unlike the amateurish vagabonds that allowed two very sloppy goals to New England on July 25. Whether this turnabout was due to the return of Jeff Larentowicz, the benching of Adailton, the return of Matt Polster to his rightful place in midfield, or some combination of the three is great fodder for discussion. Regardless of how the Fire did it, they got the job done, and these three points are crucial in determining whether a playoff spot is even feasible. With 13 matches left and 39 points on offer, the Fire really need to take the positives from this performance and make sure that they are part of the game plan every week.